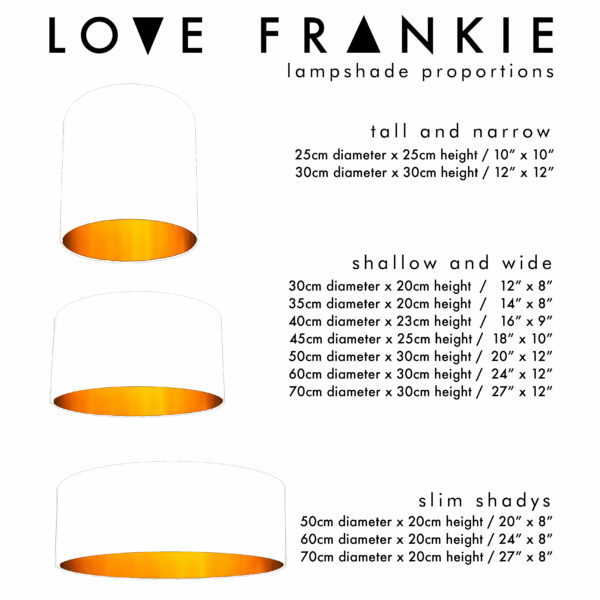 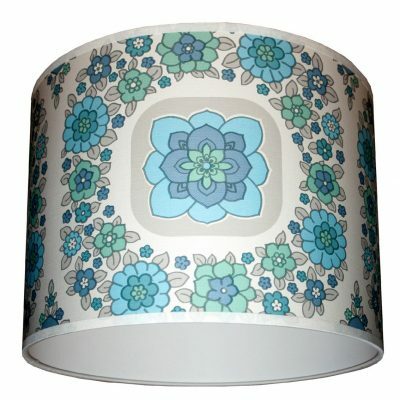 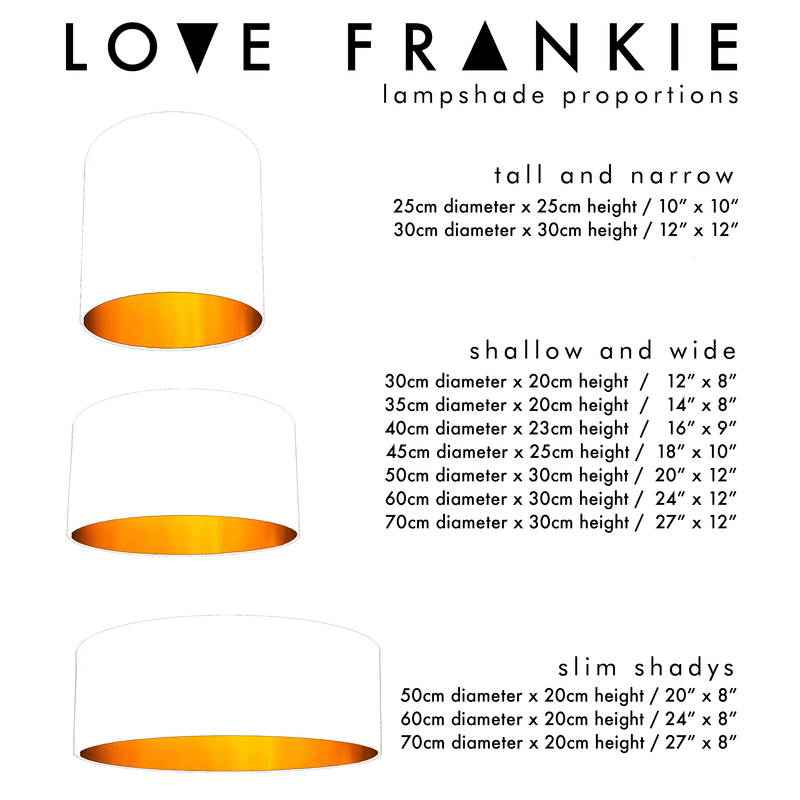 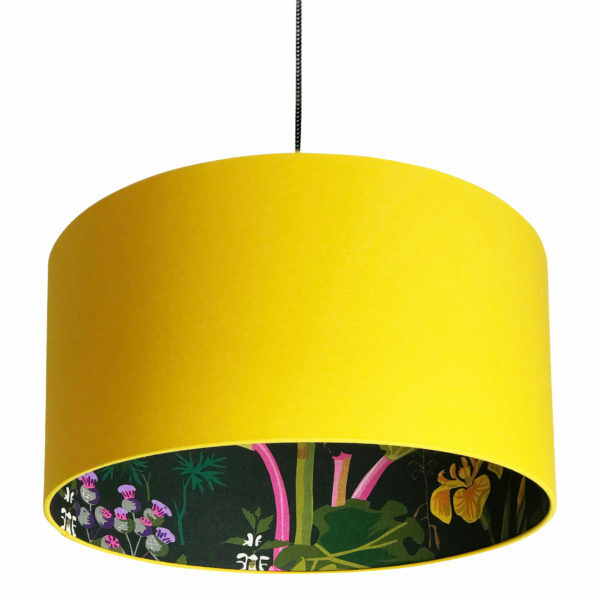 Going back to nature with our newest collection of Fabulous Foliage Signature Silhouette Lampshades. 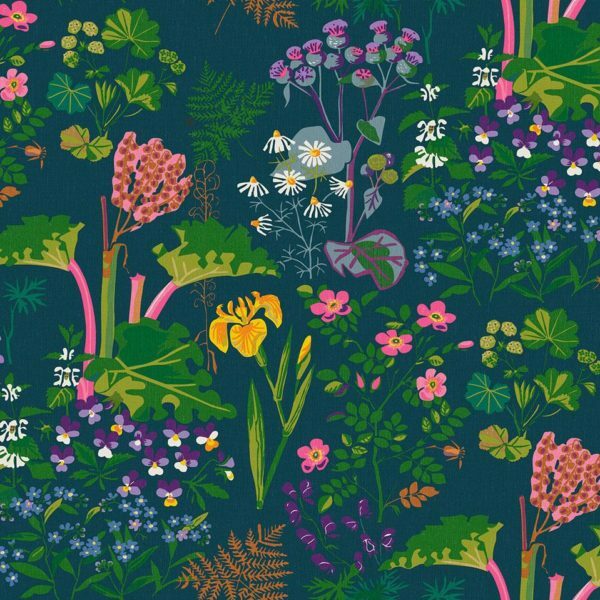 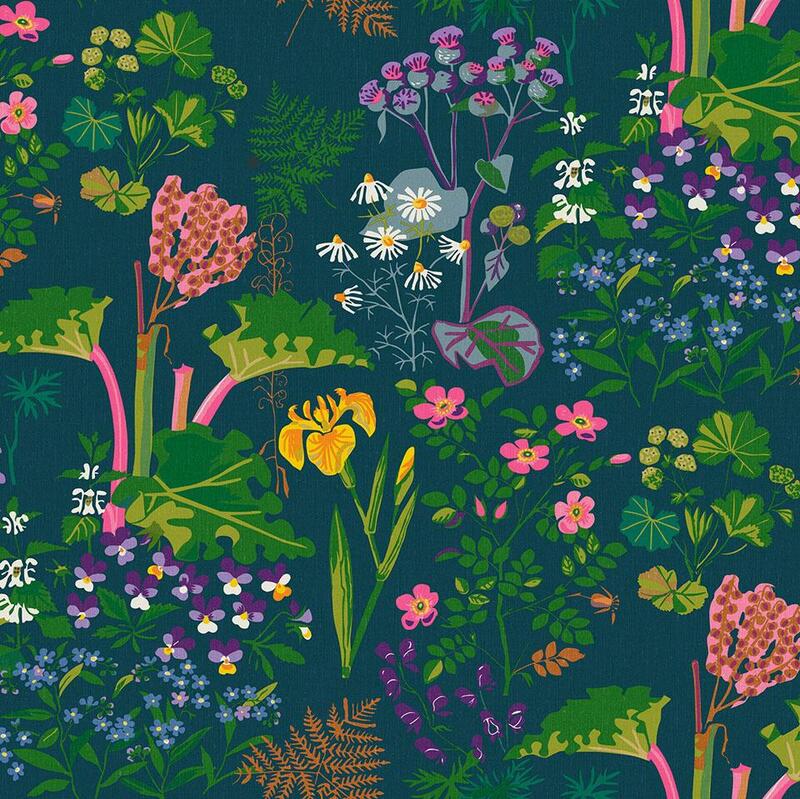 Rabarber wallpaper designed by renowned Scandinavian artist Gocken Jobs features fabulous hand drawn foliage including Rhubarb, violas and dew cups all on a sumptuous dark green backdrop. Beautifully given the Love Frankie treatment, we have turned this classic Rhubarb wallpaper design into our best selling and most notable collection of Silhouette lampshades. 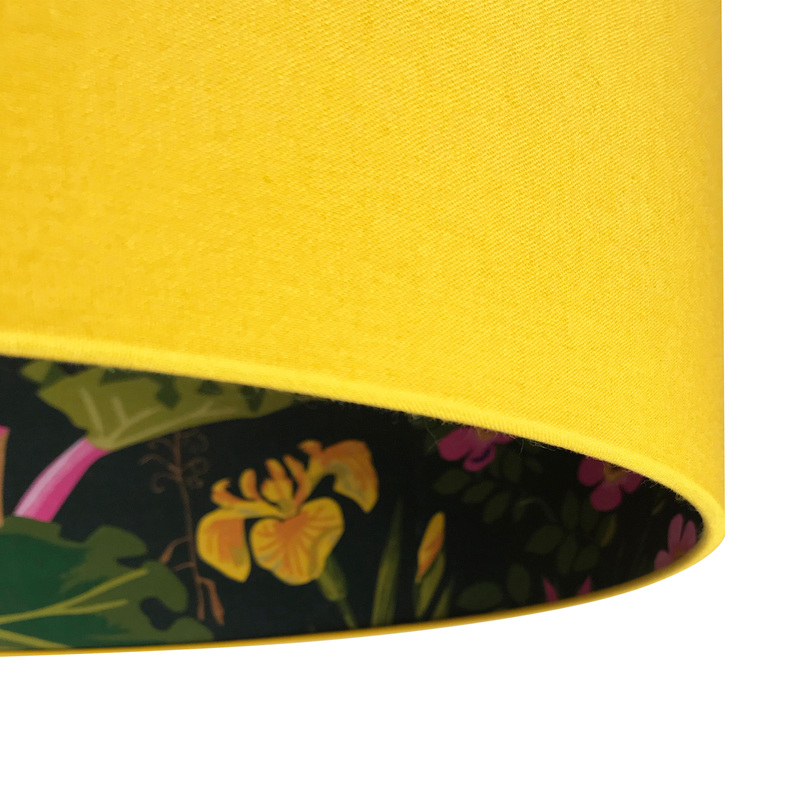 This fabulous foliage design has been lovingly paired with complementary cottons in Egg Yolk Yellow, Candy Floss Pink and Deep Space Navy. 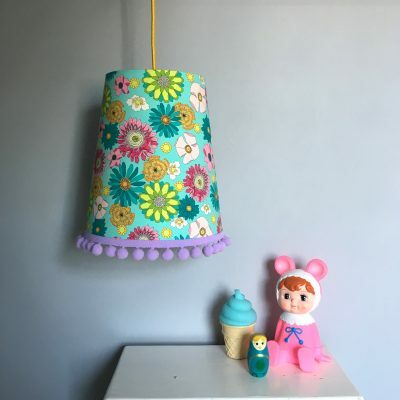 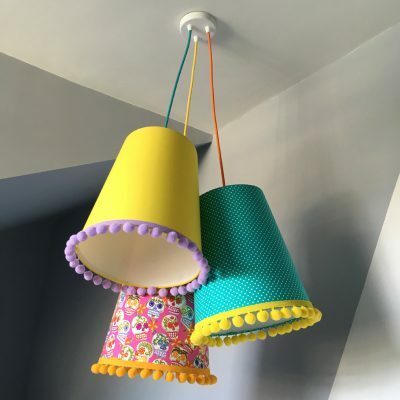 Inject a pop of colour to your interiors with our new Egg Yolk Yellow silhouette lampshade, featuring the classic Rhubarb “Rabarber” wallpaper by the Scandinavian Great, Gocken Jobs.